Ik Ben Zoho #2 collected stories from the neighbourhood locals as well as our involvement in the area. This issue contain stories on art as a vehicle for community building from Chris Ripken and his City Art project, on the process of transformation of the neighbourhood into a green and resilient test-ground area for new environmental solutions by Veronica Olivotto and on the story of our engagement with the area by Alexandra, Barbara and Carlo. 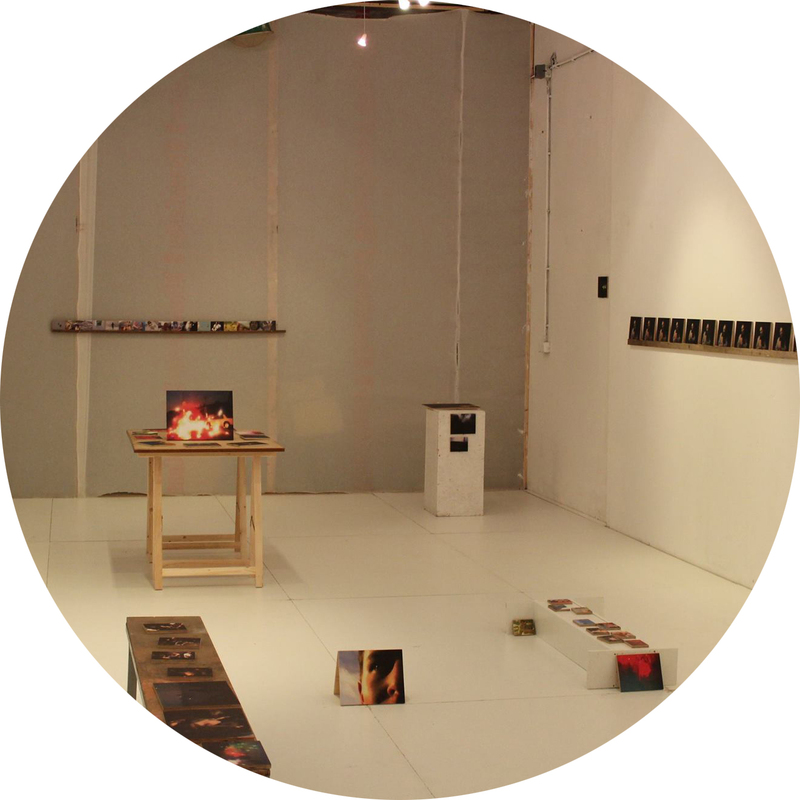 The design of IBZ#2 was curated by Angeliek Vermonden. Art, in order to develop a sense of identity for youngsters. Where they can work, build and create because it is fun. Chris Ripken, teacher/artist who lives and works in the area for many years now, runs the City Art Rotterdam a municipal building with a mix of artistic options and luckily enough to present culture to the community while awaits demolition. Chris defines it as an unsubsidized public working space with inner beauty. His idea to make art with youngsters came up about 25-30 years ago when Chris moved to Rotterdam, at that moment the city was experimenting a re-building plan for the “old” areas. The outcome of this plan encouraged people to move out of the area, as Chris describes it: the whole surroundings where we lived were blacked out and life was sucking away out of the neighborhood. However, a few people stayed in this area and got involved in their own neighborhood. Also street kids from the area started to help Chris painting the wooden hills and bring live back in the streets (e.g. outside sculptures). Most of the youngsters who lived in the area were born in Turkey and Morocco or with parents born abroad and they have double nationality. But for them two nationalities did not make any a sense of place in neither of both countries. So they misbehaved out of curiosity to explore new things. Helping Chris in the neighborhood influenced the sense of belonging for the youngsters. Their behavior on the streets started to change in a positive way especially since they made a physical contribution to the living place (e.g. art, cleaning, and sports) and they started to collect some honest money in their pockets. Around some 6 to 7 years ago, the whole neighborhood suffered vandalism by some youngsters and the arch went on fire but instead of moving out from Agniserbuurt (at that time one of the worst neighborhood in Holland) Chris moved these youngsters away from criminal activities but obtaining permission and funding from the housing company to rebuild the arches and together with the youngsters created a safe and cozy environment where youth weren’t obliged to anything. Places with no names involved and hassle free. As Chris explains the process it summarizes in: providing youngsters some basic opportunities to keep them away from criminal activities and provoking social awareness, for this particular segment of the population. He says that; if young intelligent and creative people are bold enough to dare the system, these same personal traits can be focused and utilized in special projects. It is difficult for me to comprehend why inner creativeness is inside humans and beauty on the streets can complemented this beauty into family homes which will definitely touch and alter youngsters´ behavior and create inside each of them a hunger for knowledge. In the Agniesebuurt and Zomerhofkwartier groups of local residents are out in the streets rediscovering nature and practicing conviviality. This article presents some of the many social activities that are taking place in the neighborhood thanks to cultural activists, landscape architects who are also and foremost local residents. We begin with video maker Wim Wiegmann (author of noordisnoord.nl and organizer of CultuurMix) who documents the outdoor activities that residents of the Agniesebuurt are undertaking and can all be seen on his website noordisnoord.nl. Wim himself started by organizing small treasure hunts in his own backyard to get neighborhood children out of their homes. This quickly led to engaging children from age 6 to 9 in small gardening activities in the neighborhood. On rotation one or two mothers always participate and help out taking care of the children, while those who don’t can take care of other tasks while their children are out. This works as a locally organized after school service. Reconnecting with nature in the city is also the ambition of a local group of landscape architects known as 7 Seasons. The group is passionate about discovering and connecting residents with existing green areas in the city and nurturing biodiversity, or the variety of organisms present in different ecosystems. They proposed plans to celebrate specific seasonal insects and plants by creating habitats that invite them in the city. For instance, by building vertical green walls and or by planting “night blooming” flowers under empty arches of the Hofbogen to attract bats for natural mosquitoes control. Two 7 Seasons partners, Marlou and Marieke, also work under the moniker “Flora van Fauna”. 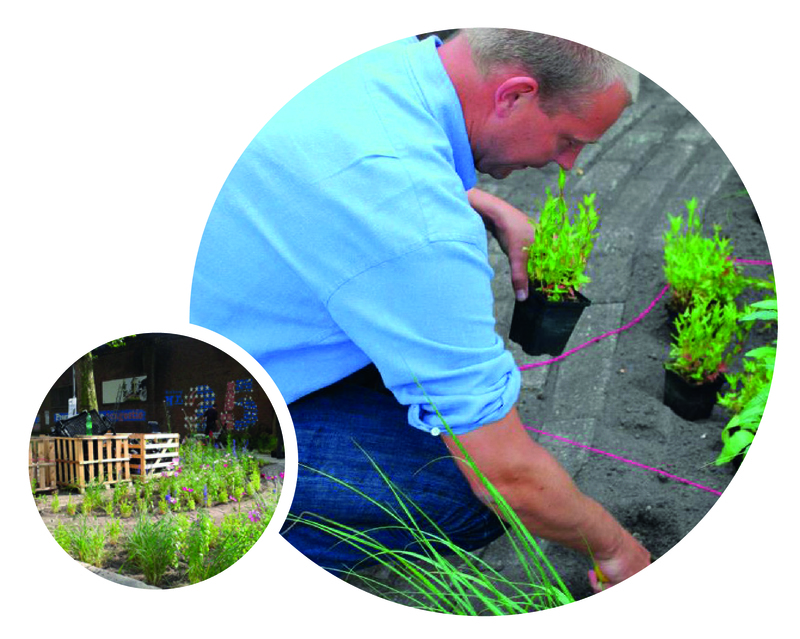 Recently they won funding from the Rotterdam municipality to build five green spots in the city by involving local residents in the building process and selection of plants. Thanks to the enthusiasm of Yasemin, a local resindent of the Teilingerstraat, one pilot garden will also be built in the Zomerhofkwartier. The Teilingerstraat has no elevated sidewalk so when heavy rains hit the city, water leaks into some of the badly insulated apartment basements. The idea is to then build a “wet garden” to function as a sponge and help absorbing excess storm water. Yasemin and Flora van Fauna are keen to build the garden with neighbors and residents. Another important neighborhood project is Restaurant Gare du Nord. Hans Kevezee, the founder of Stichting Proefhof, managed to acquire an old German train wagon that was sitting unused in Brabant, with the vision to transform it into a vegan and biological restaurant by positioning it in an empty plot of land in the Anthoniestraat 2. The plot in front of the Gare du Nord restaurant is now a vegetable garden where Hans teaches growing techniques and plant maintenance to neighborhood children and even pays them a small fee. Hans is also working with his partner, Pinar Coskun, on the program “Kook Met Mij Mee”, a successful neighborhood initiative sponsored by a number of organizations including the Gemeente Rotterdam, to teach small groups of children how to cook with natural ingredients and does so by also using multimedia platforms. A small architecture and landscape office called De Urbanisten is contributing to this blossoming of activity in the neighborhood. Building on the local, and now international success of the flood-control plaza in Benthemplein, the office is interested in water management solutions that rethink public space at the same time. 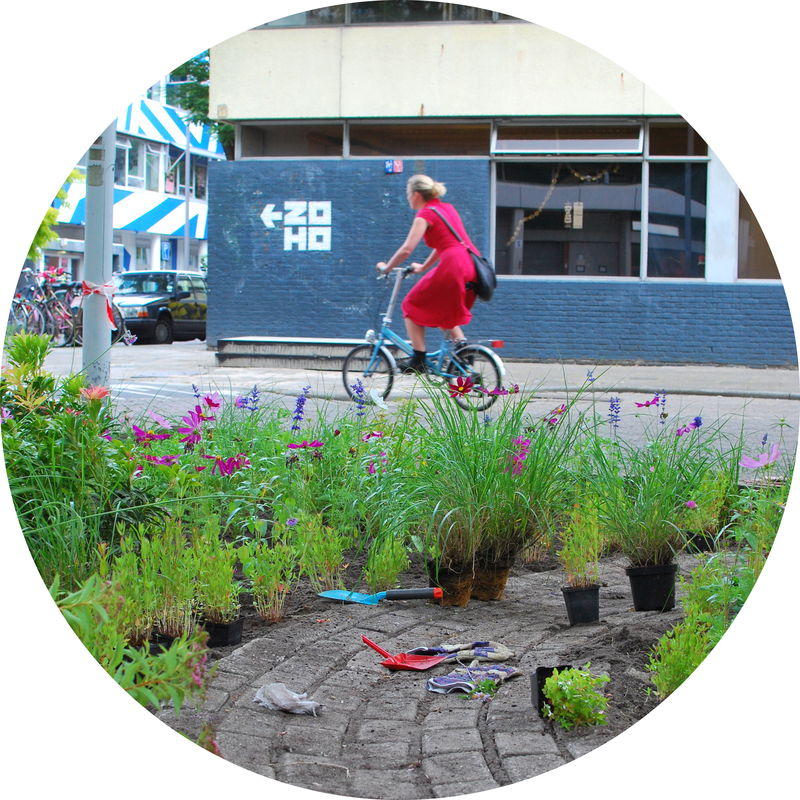 In 2013 they saw the opportunity to do some interventions in the Zomerhofkwartier and applied for funding to Gemeente Noord (now incorporated into Gemeente Rotterdam). Why did they choose this neighborhood? The Rotterdam Climate Change Adaptation Strategy (2009) shows how stress from extreme rainfall, periods of rain scarcity and urban heat island effect may impact the city in the future. Urban heat island is the phenomenon by which city centers become warmer than the rural surroundings because of the concentration of people, vehicles and buildings in them, which all together create energy that heats up the environment. Rotterdam suffers from this, especially in summer periods. At the same time, the pavement of the Zomerhofkwartier is 75% non-permeable (or waterproof) and 50% of the parking space that was built for offices in the area, is now not in use. Further because the tidal water levels are fluctuating more than in the past, some of the underground housing plinths are deteriorating. De Urbanisten organized a series of neighborhood workshop, inviting some of the groups presented before, to think about the types of activities that can be done to increase the capacity of the ground to absorb water during heavy rainfall. One of the strategies voted for is ‘depaving’, or the action to remove pavement tiles to allow water to flow in the ground rather than in the water sewage system. In July this year they inaugurated a patch of ‘depaved’ ground at the Vijverhofstraat that was eventually filled with plants donated by the city plant nursery. Recently a proposal to the European Union was drawn by De Urbanisten and Gemeente Rotterdam to win funds to continue on other local projects such as, a rooftop edible garden on the building at the corner between Vijverhofstraat and Schoterboshof, a system of rainwater collectors to be installed on buildings and more depaving. De Urbanisten also collaborated with a local group of young architects who rent a space up the road in the Vijverhofstraat called Post Office. The group invested money and time in building a ‘water bench’ with local residents and friends. This is a wooden structure built outside the Hofbogen façade that incorporates a sitting area, edible planters and a water barrel that collects water from the pipe drain of the Hofbogen. The water then flows in the planters and down into the soil. All these initiatives are seemingly happening without a clear overall direction and they reflect a sign of the times in which we live in: a time where we are questioning our values towards consumption, communal living and our dependence on centralized ways of managing our water, food and waste resources (to the point of not knowing how they work). Cultural activists like Wim Wiegman, Hans Kevezee, Pinar Coskun share a willingness to nurture children and families by reconnecting them to the basics of food production and belonging by ‘being together, doing things together in places that we care about’. At the same time, through Wim Wiegmann’s videos, we also view the protagonism of the neighborhood been played back to us, a mirror into our changing values. They also share with 7 Season and Flora van Fauna, the drive to bring people to spend time in nature and appreciate biodiversity even in concrete cities like Rotterdam. Finally there is a more climate related dimension that is represented by the knowledge that rainfall and temperature patterns are changing and by the awareness that the city of Rotterdam can become an example of how small scale neighborhood interventions together can contribute on one side to absorbing heavy rains and, on the other, to cooling the city during heat waves. This dimension has still to develop ways to challenge our resource consumption habits or stimulating forms of common living in the Agniesebuurt and Rotterdam at large, but we shouldn’t look far to learn how this could be done. The Neighbourhood Cooperative of Rotterdam (North) is an integrated collaboration of residents, businesses, organizations and schools in Rotterdam Noord. Professionals work with students, job seekers and volunteers on actions aimed to the neighbourhood, conducted in the district by the residents themselves. IHS, the institute of urban management of Erasmus University has an historical strong link with the city of Rotterdam, where was founded more than 55 years ago, to share the knowledge acquired during the post-war reconstruction of Rotterdam. Over the last years, IHS has grown into an internationally recognized institute, providing education, capacity building and advice in several countries. Many things have changed in Rotterdam since the ‘50s, but it hasn’t stopped to be a city of experimental and innovative urban development. Since the autumn of 2013, IHS has been strengthening its ties with the city, by actively working in the Zomerhofkwartier, one of the most recent and interesting cases of urban renewal in Rotterdam. In December 2013 a around 50 international students from all the five continents spent one week working in the area, assessing the challenges, highlighting the opportunities and coming up with proposals of simple feasible interventions. After one week experimental work, we were able to present our ideas in an open event at Roodkapje. In fact, the IK BEN ZOHO magazine itself started as one of the proposals, but we realized that there was the possibility to make it real, with some extra work and the help of residents and workers. Last March, a group of more than 30 students has been back to ZoHo for a full month of lectures and practical exercises. We brought our different perspectives and visions, both professional and cultural, to the assessment and realization of strategies for the Agniesebuurt area and beyond. With a longer time commitment we were able to develop detailed strategies tackling a wide range of issues from environmental to economic and social ones. Students proposed a diverse set of strategies, spanning from rooftop farming to a network of social entrepreneurs, innovative housing solutions in underused spaces and initiatives to create activities for youngsters. During this time we (IK BEN ZOHO) didn’t stop meeting and knowing local people, also by participating in various events organized in the neighbourhood. It has been a long process but in May we were able to publish and spread the first issue of this magazine. IK BEN ZOHO represented the physical presence of IHS during the Open Zoho Day on June 26th. We organized a “Urban Huiskamer” in Vijverhofstraat on the spot where the first part of the Zoho Regentuin was being realized: we engaged with bystanders informing them about the project the area and involving them in the future actions of the process of greening the Zomerhofkwartier. This year we are back in the buurt, with a new group of 60 international students for a weeklong workshop in December and again from January to March for a two-month long specialization program for IHS Masters program. Many things have changed since during the last year in the Zomerhofkwartier, so we are looking forward to new ideas and a stronger presence of the IHS in town!